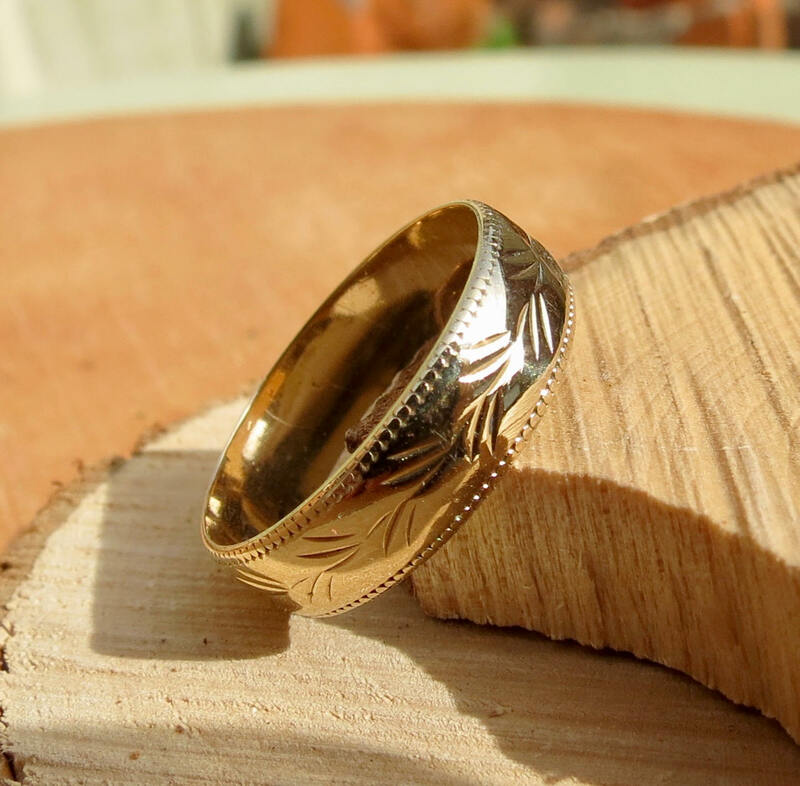 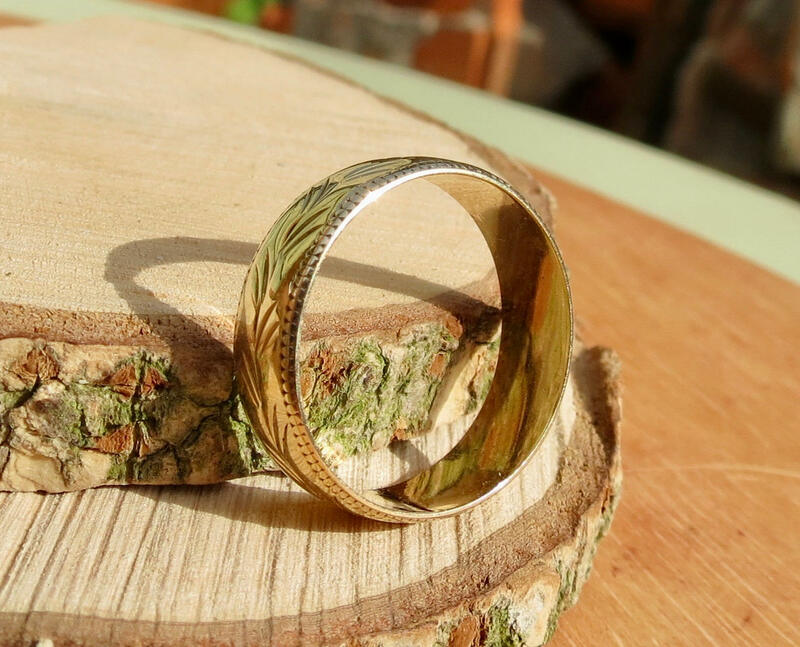 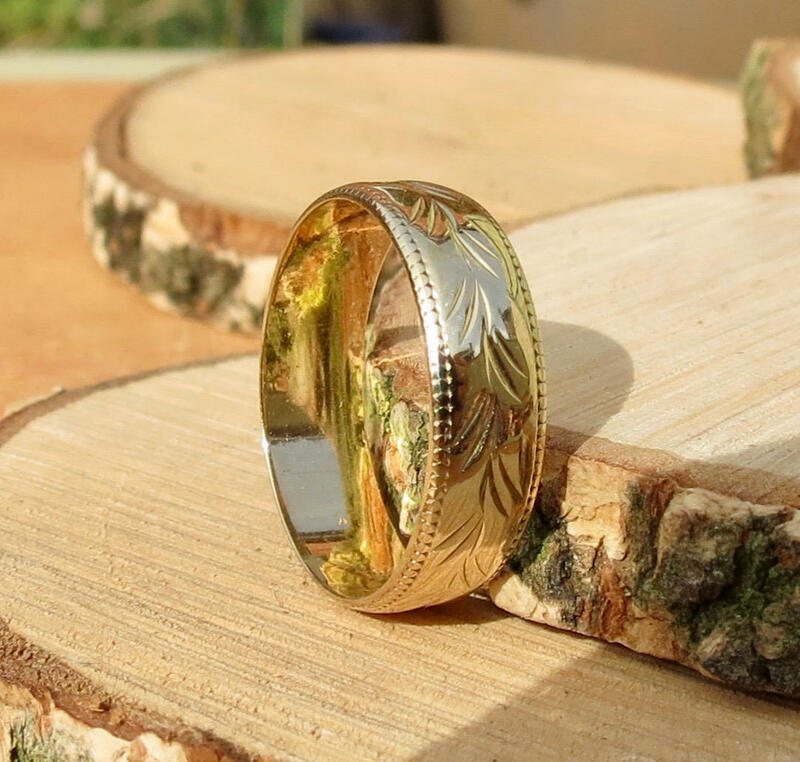 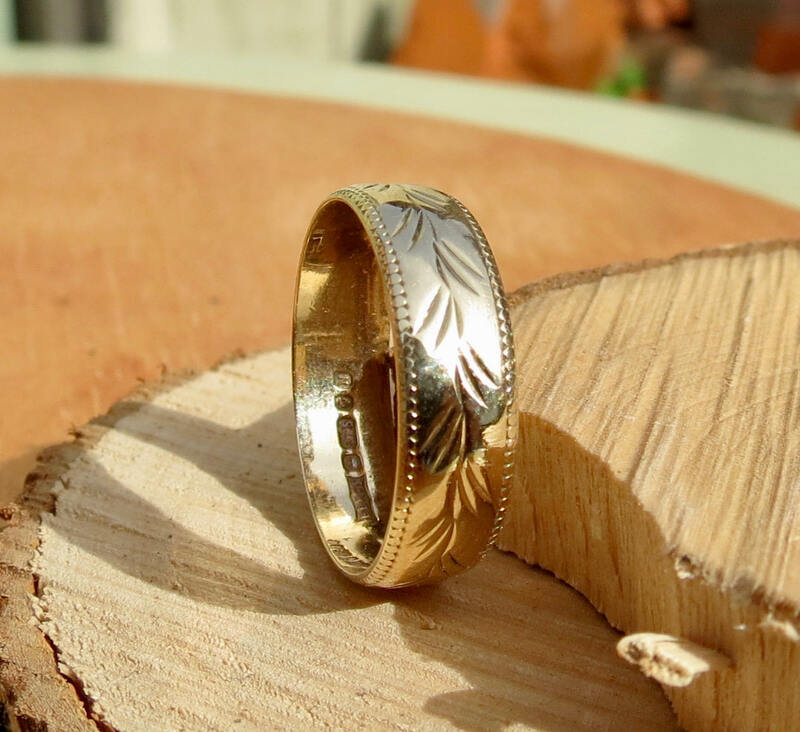 9K yellow gold engraved band. 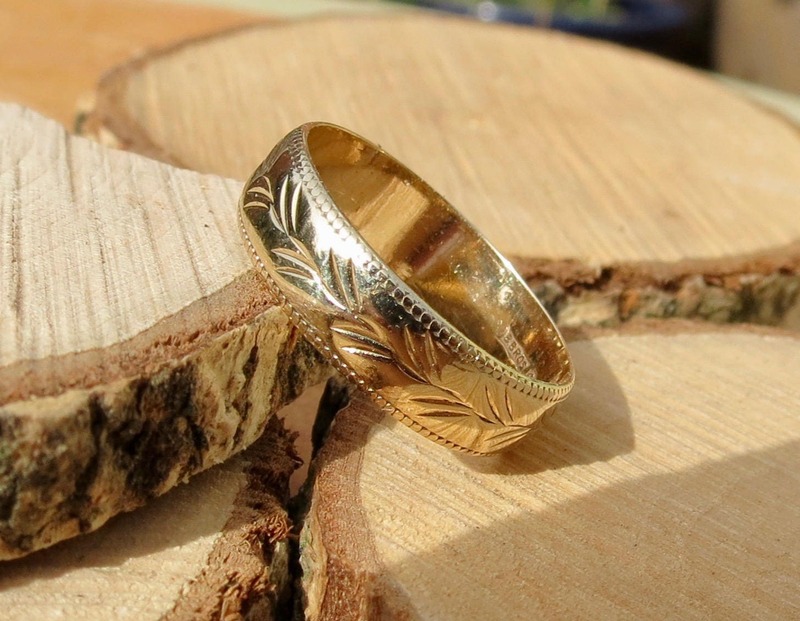 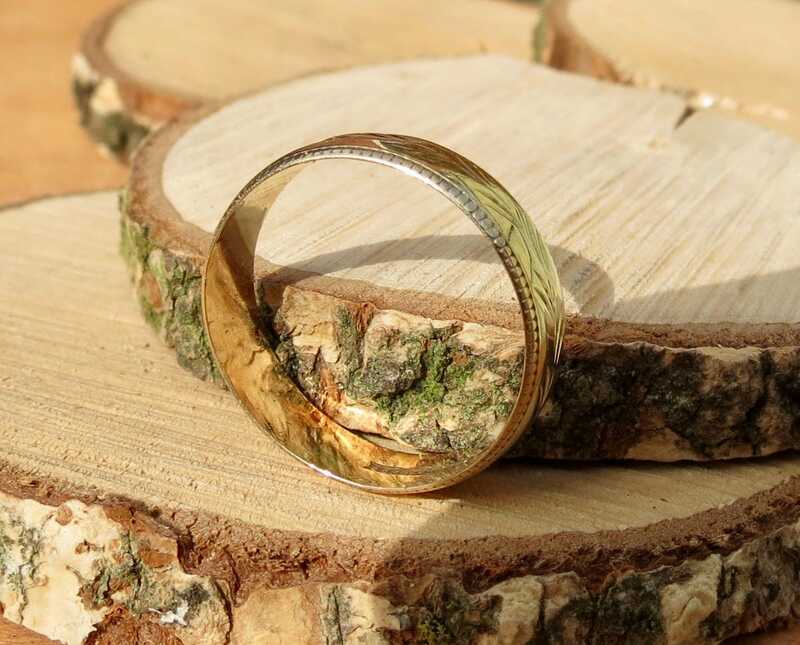 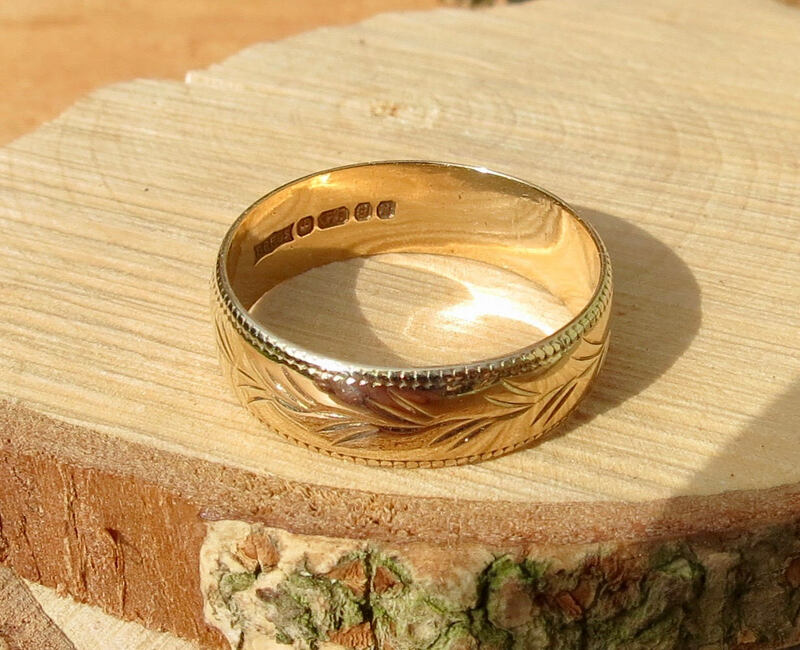 This Vintage 9k yellow gold ring is 5mm (1/4 inch) wide. 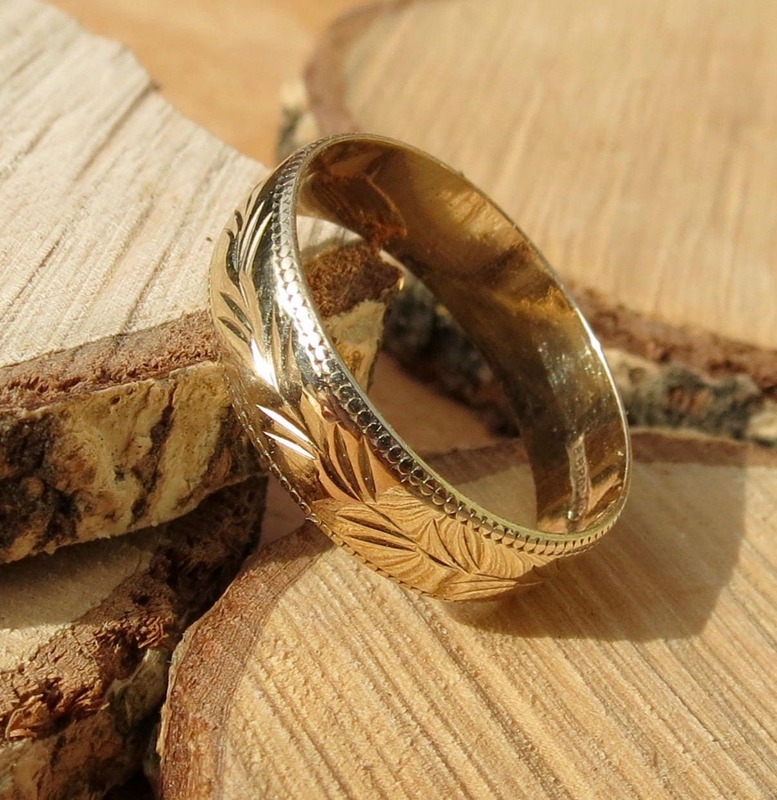 The classic band has long leaf engraving with a milibead edge. 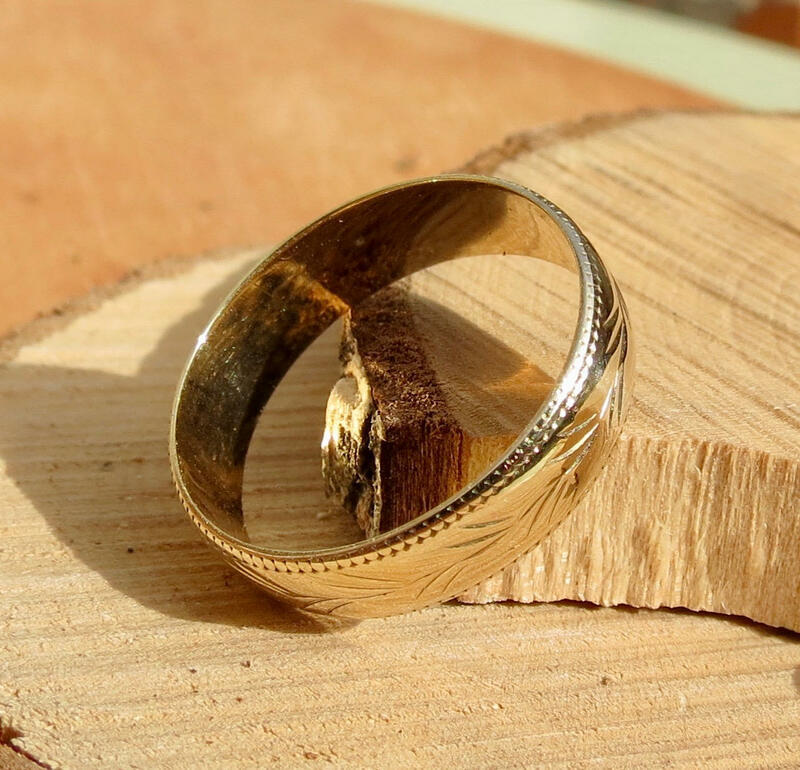 This ring may be stretched a little bit for resizing.